In today’s grocery aisles, it is becoming increasingly common to see an array of “grassfed” and “organic” labels adorning meat and dairy products. With so many options, it can be difficult to decide which make the most sense for our bodies, wallets and planet. This post explains some of the key features of grassfed and organic animal products and regulations in Canada. Cows and other ruminants are meant to eat grass. Many, if not most, Canadian farmers raise their dairy and beef cattle on some combination of grass and grain. The specifics of this combination, however, are a new source of consumer interest, and there is growing demand for beef and dairy raised on more grass than is typical in conventional agriculture. Grassfed farming aims to ensure that animals’ diets consist of as much grass and forage as possible. Ideally, grassfed livestock graze in pastures when climate allows, and eat stored forage (i.e. hay) through the winter. Forage-based diets, and grazing in particular, can be a healthier choice for animals and consumers alike, and one that shares several of the principles of organic farming. The combination of grassfed and organic practices makes for meat and dairy products that are more environmentally friendly and ethically produced. However, grassfed does not always equal organic, and vice versa. Each has certain advantages that are important to be aware of. The fine print: What do the certifications mean? The Canada Organic Standards (COS) define a number of guidelines for livestock production, including the incorporation of grass and forage into ruminants’ diets and several requirements related to pesticide use, hormones and antibiotics. Under the COS, organic herbivores must have access topasture during grazing season and to open air whenever weather conditions permit. While at least 60 per cent of daily dry ration intake must come from grass, forage or silage under these standards, a grassfed diet is not the sole concern of organic production. The other 40 per cent of organic livestock’s diet may come from organic feed that is free of genetically engineered (GE) organisms and has not been treated with persistent synthetic pesticides. As well, the systematic non-therapeutic and growth-promoting use of hormones* and antibiotics is prohibited in organic production, and the medical use of these substances is tightly restricted. Under the Canada Organic Regime (COR), certified-organic animals must be treated with care and have their suffering minimized. This includes standards relating to housing, living conditions, and practices like tail-docking and dehorning. 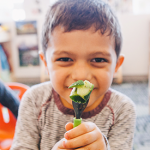 Organic producers must be certified by an accredited certification body in order to use the Canada Organic Logo or move products labeled “organic” across provincial or national borders, as regulated by the Canadian Food Inspection Agency (CFIA). However, those that distribute solely within the province in which they produce only have to adhere to provincial regulations (which Ontario currently lacks). Farmers who choose to produce grassfed meat and dairy may have much higher requirements for the amount of grass that makes up a grass-based diet. There are currently no provincial or national standards for grassfed claims in Canada, which results in a diversity of opinions about what this amount should be. However, producers can still be certified by independent organizations like the American Grassfed Association (AGA), which works with the United States Department of Agriculture (USDA) to set appropriate guidelines. The AGA standards include some organic principles as well – for instance, certified grassfed animals must not be treated with added antibiotics or growth hormones, or fed any GE organisms (also known as GMO). Although they prohibit the use of synthetic pesticides, they make some exceptions; for instance, when holistic and sustainable methods of pest and weed control have been unsuccessful. Because of the lack of government regulations in Canada, various entities have developed individual grassfed standards. For instance, organic certification body Pro-Cert developed a Grassfed Ruminant Standard in 2017 that aims to merge organic and grassfed certifications by ensuring that their grassfed certification also adheres to Canadian organic regulations. Their policy states that grasses and other roughage should be the sole component of ruminant animals’ diets. Where possible, or during the appropriate season, certified livestock must have continuous access to pasture as appropriate for the species – this means at least 0.13 hectares (0.33 acres)/animal unit. Outside of the grazing season, they must be fed harvested forage or roughage. These rules are applicable from birth to harvest, and are accompanied by further restrictions on GE, pesticides and animal welfare. The Dairy Farmers of Ontario (DFO) also recently released an interim grassfed standard, which is under ongoing development. 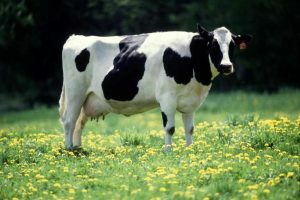 According to this standard, 75 per cent of a cow’s dry matter intake must be comprised of grass or forage, with additional restrictions placed on other prohibited feeds. In contrast to other Canadian grassfed standards, the DFO’s is notable because it is also outcomes-based. Rather than focusing solely on pre-harvest practices, the DFO proposes the authentication of grassfed milk based on certain indicators in the final product, such as minimum levels of conjugated linolenic acid and a maximum ratio of Omega 6:Omega 3 fatty acids. The DFO hopes to use these rules as a template to develop a national grassfed standard. 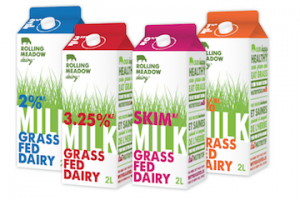 Rolling Meadow Dairy is a Canadian dairy marketer that sells grassfed products in accordance with their own private regulations. They are not subject to third-party verification – they independently set the policies they adhere to. Their standards are not publicly available, but they outline a number of their guidelines on their website. Rolling Meadow cows graze on pasture for approximately 150 days of the year and are fed primarily stored grasses throughout winter months, making for a diet that is at least 80 per cent grass and forage according to their “get to know us” page. Although they specify that their grass is free of herbicides, they do not indicate what other inputs are permitted (e.g. 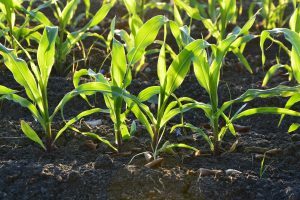 antibiotics, hormones, fertilizer, inoculants). They also do not currently guarantee that their cows graze on GE-free pastures (an issue that is of particular concern in Ontario, where GE alfalfa – a common forage in dairy production – has recently been commercialized). But what does “grass” really mean? With such broad definitions of forage, it can be difficult to know whether an animal’s diet is actually predominantly grass-based, and whether it is truly free of corn and other grains. Some Canadian farmers deal with these problems by combining grassfed and organic principles – maintaining a diet that is exclusively grass and forage while also reducing the amount of pesticides, fertilizers, antibiotics, and added hormones they use. **However, under Canadian law no dairy products can have antibiotic residues. If dairy cows have to be treated with antibiotics, they are removed from the herd during treatment and for an additional time period specified by the antibiotic label. Organic withholding periods are double this length or 30 days. Many “conventional” (non-organic, non-grassfed) beef and dairy farmers in Ontario and Canada also allow their cows limited grazing access. As such, consumers may be confused about how different grassfed and conventional farming practices really are. 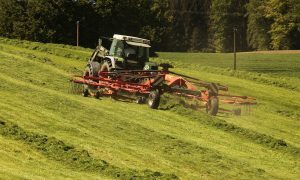 Maintaining a 100 per cent grass and forage-based “finishing diet” (meaning that in the final fattening phase, animals do not receive grain or corn silage) for cattle can be a difficult feat, one that requires excellent pasture and grazing management, and possibly different breeds of animals, to do well. Most grassfed standards acknowledge these challenges and set their policies accordingly, which is why not all standards require 100 per cent grass diets. However, if the bar is set too low, then the meaning of “grassfed” loses value and significance. Some farmers feel that any introduction of grain into a ruminant’s diet compromises the benefits associated with grassfed farming. On the other hand, striving to feed 100 per cent grass under poor weather conditions and without appropriate pasture management practices can cause more problems than it solves. Without an overarching standard and definition, grassfed will remain a hotly contested concept among producers and a “buyer-beware” claim for consumers. It is a commonly held belief that organic and grassfed production involve more environmentally friendly practices than conventional agriculture requires. And, in both cases, this can be true if production is done ethically and with environmental care in mind. Grassfed agriculture, as outlined in the Pro-Cert standard, encourages producers to manage pastures through rotational grazing. This practice increases biodiversity and soil fertility, makes efficient use of land that is not suitable for crop production, and decreases the need for irrigation. Similarly, the AGA asserts that pasture-based farming reduces our reliance on petrochemicals, adds organic matter to soil, and reduces greenhouse gas emissions. Organic production makes use of fewer pesticides, fertilizers, and antibiotics that are harmful to surrounding ecosystems. 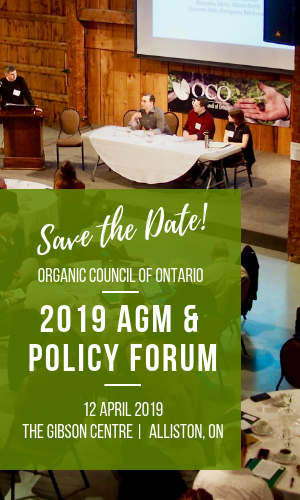 If Ontario converted only 5 per cent of its agricultural land to organic production, it could reduce fertilizer applications by 21.5 million kg, pesticide applications by approximately 148,000 kg, and antibiotics or medications in feed by 3,539 kg. Organic soils can also sequester more carbon than conventional soil, according to some studies. Both organic and grassfed farming have the potential to improve soil health and biodiversity. However, neither category precludes poor pasture management; although both aspire to decrease their environmental impact, both can be done irresponsibly and have room for improvement. As consumers seeking to make environmentally conscious choices, looking for certification from a trusted standard, or establishing relationships with farmers or businesses who abide by both organic and grassfed principles, is the best way to ensure your intentions have their desired outcomes. Additionally, pushing for clearer, more rigorous and holistic grassfed and organic standards will ensure that such marketing claims meaningfully reflect the farming practices that go into them. A number of studies claim that both organic and grassfed offer an array of health benefits, mostly relating to the amount of healthy fats found in grassfed milk and meat. 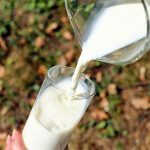 In 2014, the University of Toronto reported on data suggesting that grassfed milk contains more heart-healthy fats that reduce inflammation and have been connected to a lower risk of heart disease and type 2 diabetes. Similar meta-analyses were conducted at the University of Newcastle by Leifert et al., and published in the British Journal of Nutrition. This data shows that organic milk has over 50 per cent higher healthy omega-3 fatty acid levels and higher levels of heart-healthy conjugated linolenic acid, iron, vitamin E, and carotenoids. As reported by the Guardian, some researchers say these health differences are small enough that they would not widely affect human health. However, frequent consumers may want to consider these small health benefits when choosing meat and dairy products. 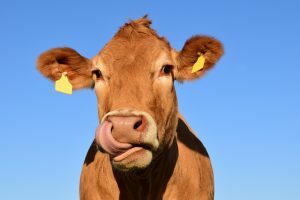 Both grassfed and organic meat and dairy are more expensive than their conventional counterparts, with organic costing slightly more than grassfed (according to the Globe’s 2014 study, grassfed milk is about $5.99 for two litres, while organic is $6.49, versus conventional milk’s $3.99). However, feeding animals only grass or organic feed costs more and requires more farmland than conventional feedlot practices. The more grain – especially non-organic grain – added to an animal’s diet, the more production costs decrease, making less grass-focused standards more affordable and closer in cost and price to conventional products. Both organic and grassfed farming systems require more labour intensive management as well, which increases labour costs and limits economies of scale – consumers are paying for the principle of care. There are also higher value chain costs associated with niche products, and high demand plays a significant factor in cost, allowing retailers flexibility in setting profit margins. Both grassfed and organic animal products have health, environmental and ethical benefits. As it stands, organic has the advantage of having a clearly defined and regulated standard, while grassfed definitions and standards are still unregulated in Canada. The combination of organic and grassfed production is an industry practice to strive for, and one that consumers can feel confident about investing in. Want to share your views on what grassfed should mean in Canada? Contact OCO, the CFIA or the DFO to share your views.